Football Star Slot at Betway now! The past few months have seen football fever reaching its peak at online and mobile casinos as the Euro Cup 2016 football tournament takes place and a variety of games and promotions have been released to commemorate it. Now, online sports betting and online casino operator Betway has announced a strategic partnership with five Bundesliga 2 clubs, which means there’s sure to be more football action to come in the months to follow. The new agreement with the 5 German clubs including Dynamo Dresden, Eintracht Braunschweig, Karlsruher SC, St Pauli and Union Berlin will see Betway as the official betting partner ahead of the new football season starting in August 2016. Under the deal Betway will receive in-stadium branding at all five clubs for three years as well as hospitality tickets to each game, which, if we know Betway Casino will be given away as prizes in their ongoing casino promotions in the months to come. Betway’s Anthony Werkman commented that Bundesliga is one of the most avidly followed football leagues in the world and that Betway was pleased to have signed agreements with the five clubs boasting a rich heritage and history in German and European football. Betway adds these clubs to its sponsorship of England’s West Ham United. And if you can’t get enough football action, you’ll find a variety of Microgaming powered football themed slots including Football Star and Shoot! 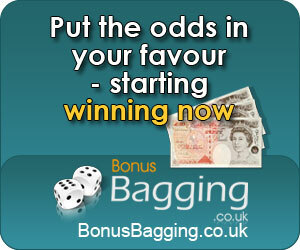 and be sure to check out our winning slots tips before you play.